Whenever I’m having a dinner party or an event, I always need to have drink coasters around. Without them, there’s potential for furniture to be ruined by rims and stains long after guests have left the party. You don’t need to spend a lot of money for cute coasters that match your home decor. 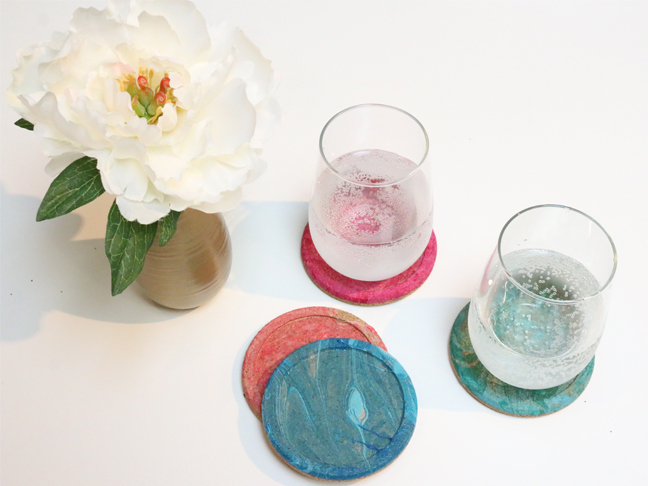 Today, I am going to show you all how you can make DIY marble coasters. 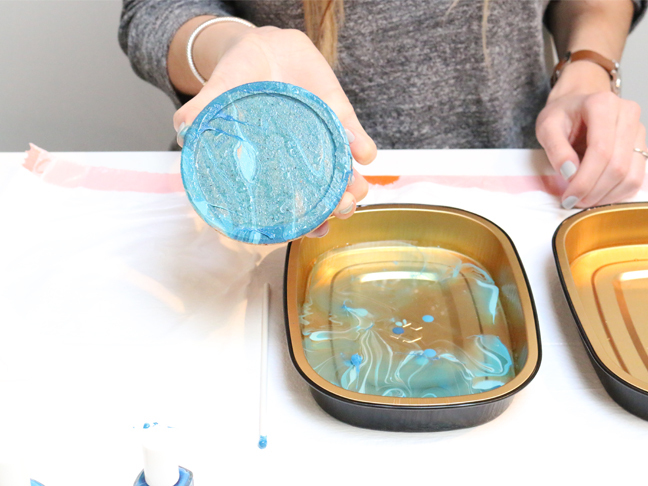 With some colorful nail polish, you are going to be able to make your very own marble pattern. 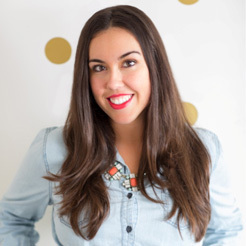 It’s super quick and easy and affordable enough that you can try out all kinds of color combos. Step 1: Fill your containers with water. 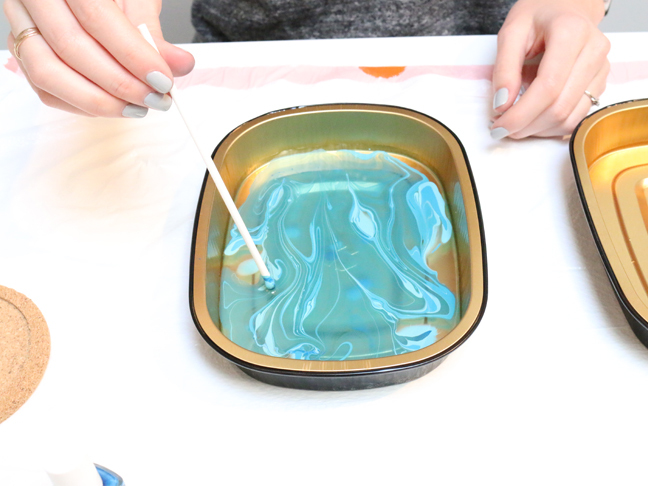 Step 2: Take one of your color choices, and pour all shades of polish into the water. 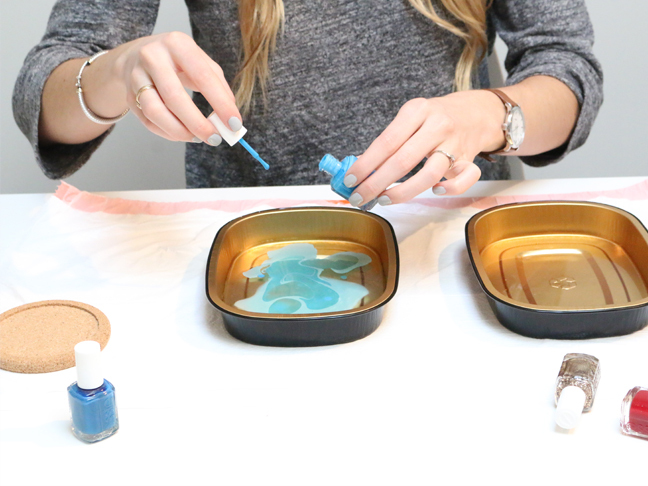 Step 3: Stir your polish. Whatever design you make in the water will be the exact design that sticks to your coaster. 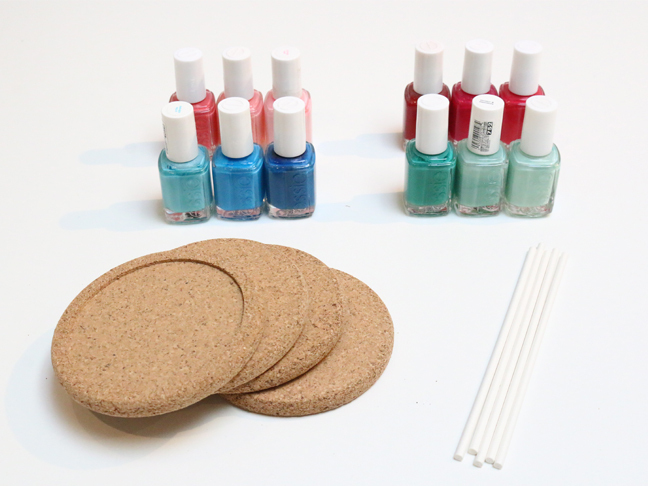 Step 4: Lightly dip the front face of the coaster onto the layer of nail polish sitting on the water. Step 5: Slowly lift the coaster from the water and let air dry. You’re done! That easy!